Alex Boudreau has been trained to win…at any cost. Lured by a sacred trust back into a life of stealth and undercover thievery, Alex confronts a tormented past laced with guilt, self-proclaimed failure and deception. Faced with gripping, split-second decisions that would forever shape the future, Alex plunges, once again, into the world of corporate intrigue, greed and deceit. After stealing a top-secret genetically engineered drug, Alex discovers the stolen information contains the specs to create a viral weapon – a weapon designed to threaten the world. Now the target of cold, calculating men with unlimited resources, nerves and wits are the only weapons available to unearth the identity of these men who are determined to kill not only Alex, but millions of others. This title is available from Amazon. Paul, how did you come up with the title for your book? Does it have any special meaning? I literally spent months trying to come up with just the right word, phrase or whatever would work. I had written down pages of ideas, but nothing stuck with me for more than a day or so. One weekend, I holed up in a house on the coast and threw around ideas the whole weekend. It wasn’t until I was driving home that Wings to Redemption hit me and struck a cord. I waited a few days and it still held. It really fits the whole story. It’s perfect. Benjamin Hunter—definitely. Ben is a guy who is simplistically complex; he found a way to use the demons of his past to build true character and a real sincerity that is appreciated by all those around him. Lots of people keep past mistakes or personal demons bottled up and fail to confront them—big mistake. 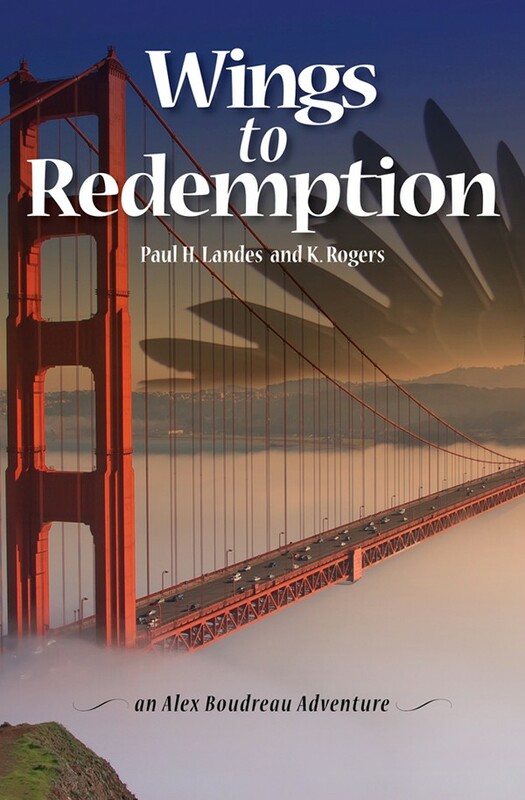 Redemption is a powerful and complex word, yet it’s available to us all. If a reader feels they were in the center of a stage watching the action and they could reach out and touch the character and feel their emotions, then they “get” what I am trying to present. “Move over Baldacci, there’s a new kid in town!” I nearly collapsed when I read that. Baldacci’s one of my absolute favorites.